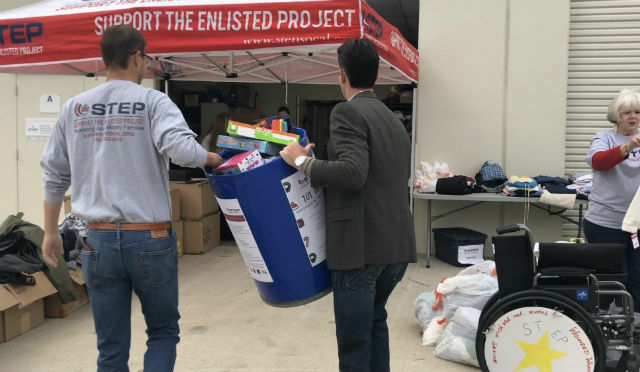 The Support the Enlisted Project and San Diego City Councilman Mark Kersey helped a group of military families Friday with shopping for holiday gifts and household necessities. The Support the Enlisted Project assists junior enlisted and transitioning veteran families who are also dealing with a financial crisis. Families involved in STEP work with a financial counselor to budget better and help them apply for grants. STEP invited military families in the military’s lowest pay grade to the shopping event, where they picked out holiday gifts, clothes, baby necessities and small household items for free. While they shopped, Kersey met with participating military families and passed out toys collected during a drive he hosted. Residents seeking more information about STEP can visit the program’s website, stepsocal.org.